Nicosia, the capital of Cyprus, is the biggest and most populated city of the island. It is situated in the centre of the country and it carries a long history given that it has been inhabited for over 4500 years and it has been the capital of Cyprus since the 11th century. 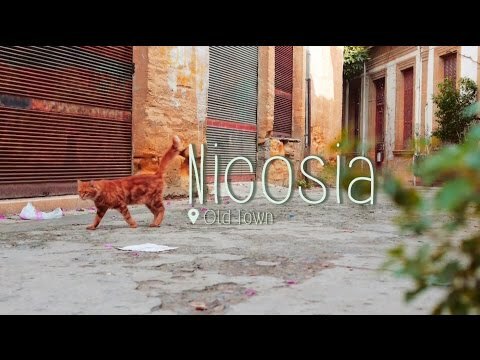 Nowadays, Nicosia or Lefkosia - as you will see it written on the street signs reflecting the Greek pronunciation of the city's name - is a vibrant European city. Nicosia is the financial and business heart of Cyprus with all Cypriot banks and many international businesses having their Cypriot headquarters here. The city is divided in twelve municipalities - among which the municipalities of Nicosia, Strovolos and Egkomi - which have different things to offer. In the city centre, which is surrounded by Venetian walls, one can find museums, old churches and medieval buildings. It is a must to enjoy a coffee or the tasty Cypriot cuisine at one of the many restaurants found in the pedestrian streets of Ledras and Onasagorou in the heart of Nicosia. There you will find the locals shopping or just relaxing and enjoying the almost always good weather. The reconstruction of Eleftherias Square, the main square in central Nicosia, based on the design of the famous architect Zaha Hadid is underway. The work, which is expected to finish in 2017, will become a valuable asset to the life of the capital of Cyprus. Nicosia is the last divided capital in the world since 1963 as a result of the conflict between the Greek Cypriot and the Turkish Cypriot community of the island. Thus, if someone wants to go to the occupied area, which is not under the control of the Republic of Cyprus, he has to cross the Green Line – the border between the north and south - found at the end of Ledras street showing his passport. Nicosia is a multicultural city where the past and the present meet and merge. Come to discover it yourself.